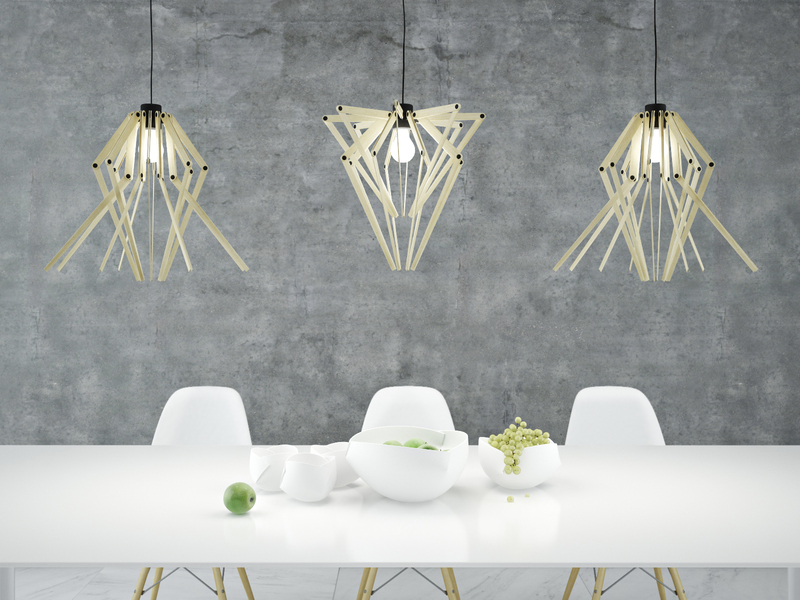 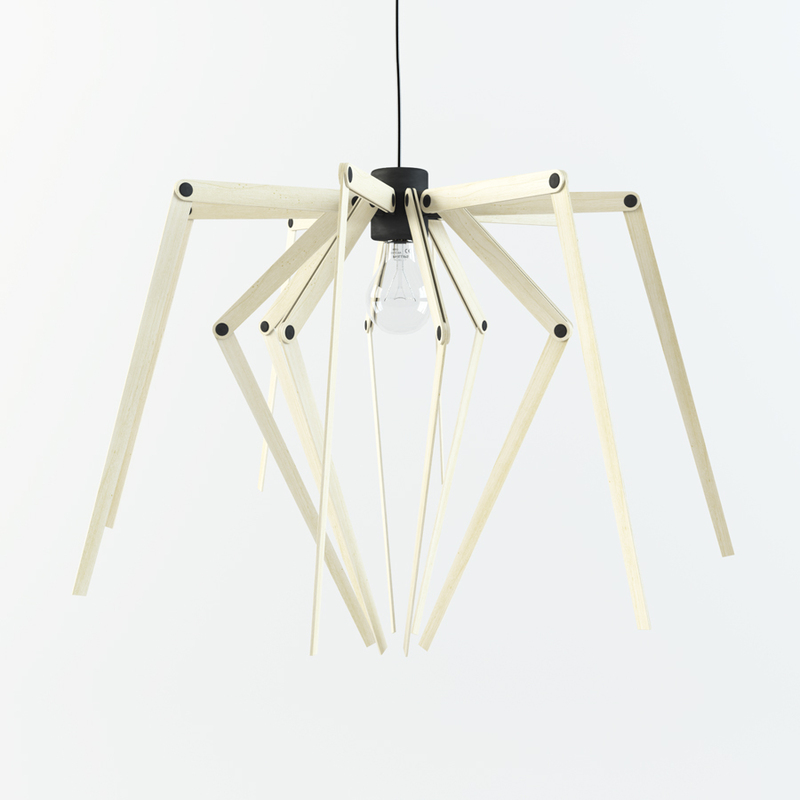 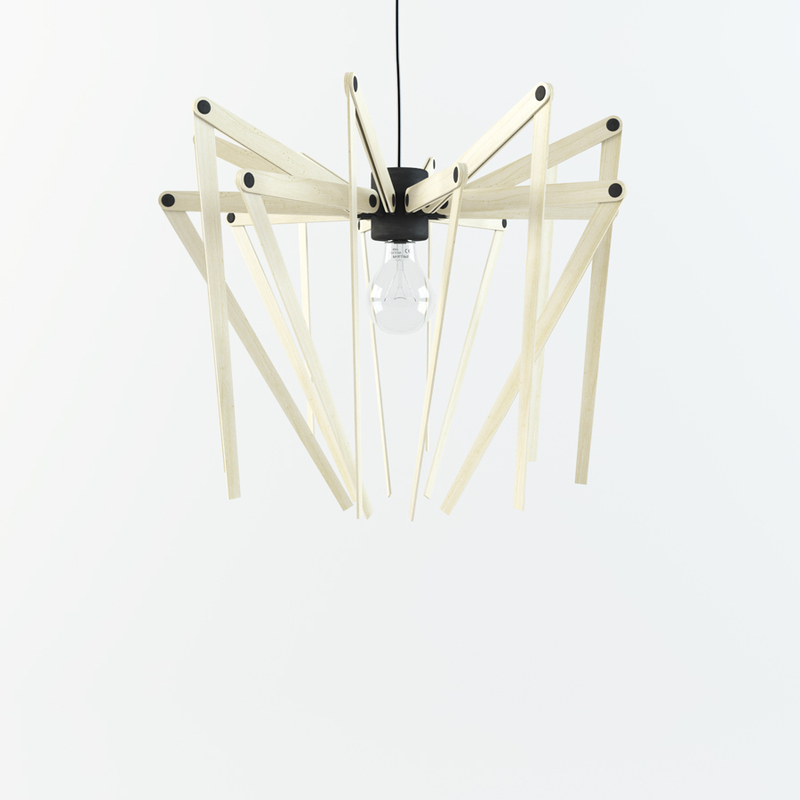 PLANK lamp is a polymorphic pendant light. 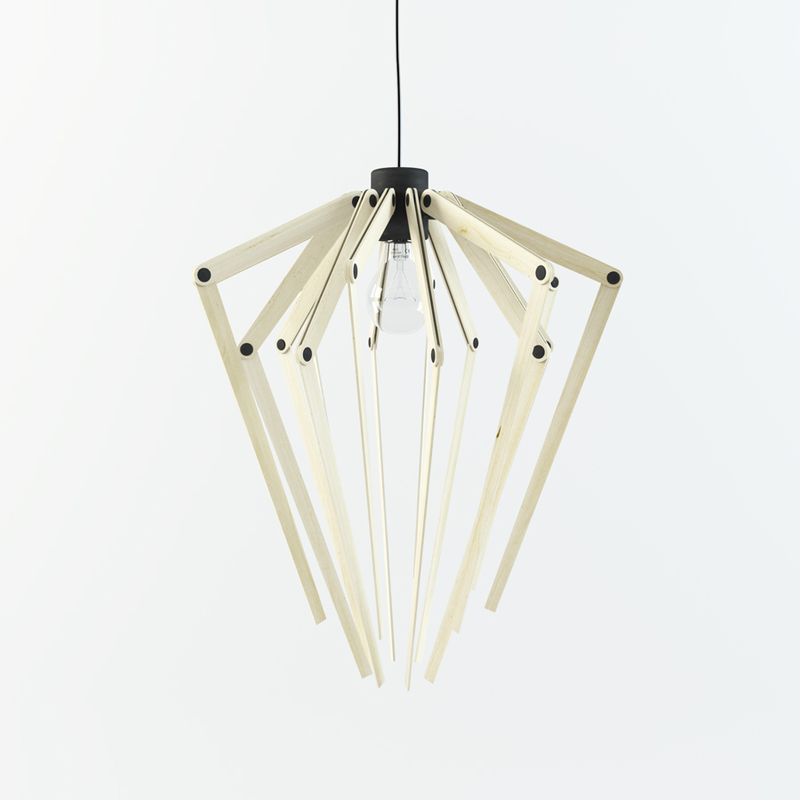 This lamp consists of electric cartridge and shade, made of wooden slats. 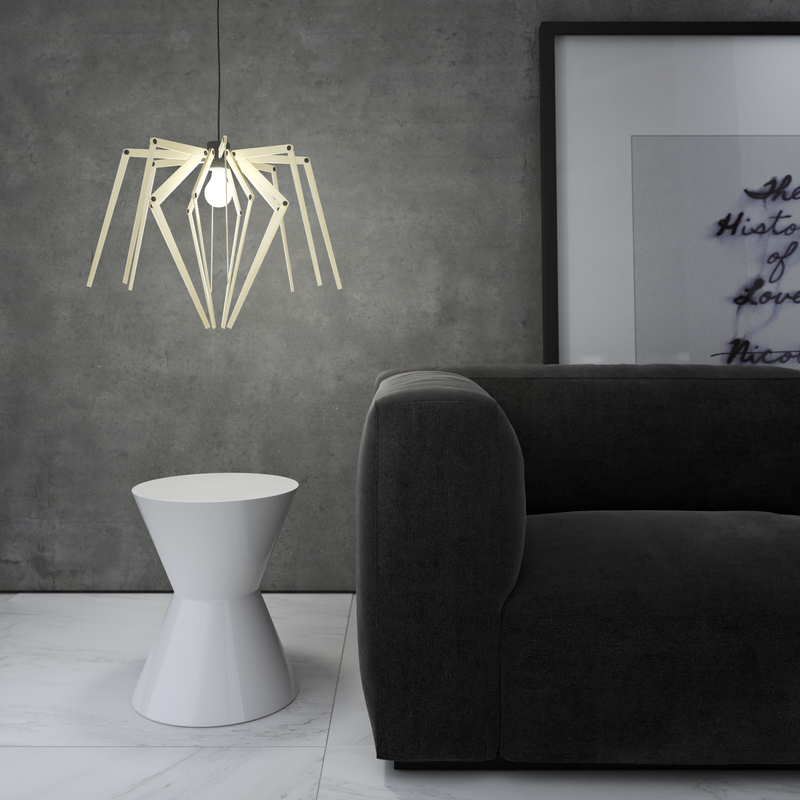 Despite simple design the lamp can take different forms. Swivel joint of planks with position fixing allows you to create a multitude of combinations for the lampshade form. 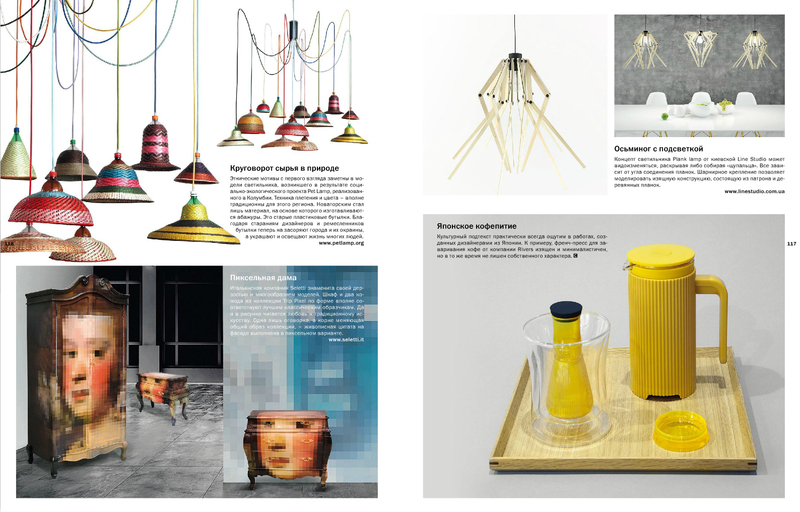 The lamp can be used for general and zonal lightening, as well as independent art object or as the part of the group.